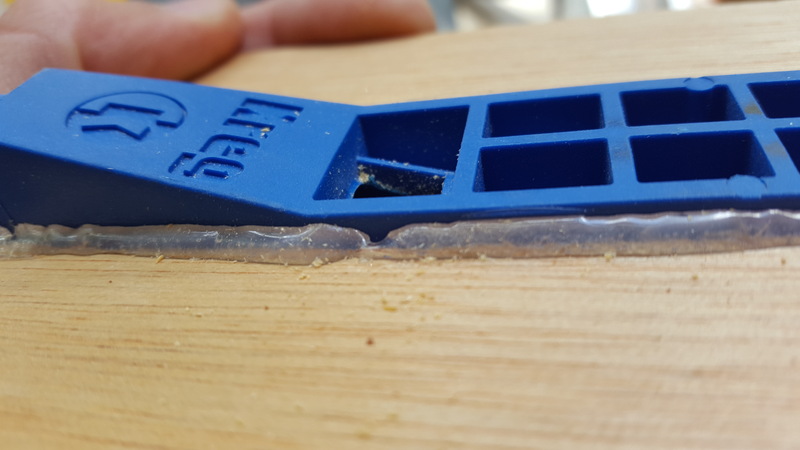 A much cheaper way to cut pocket holes with a Kreg Mini jig. 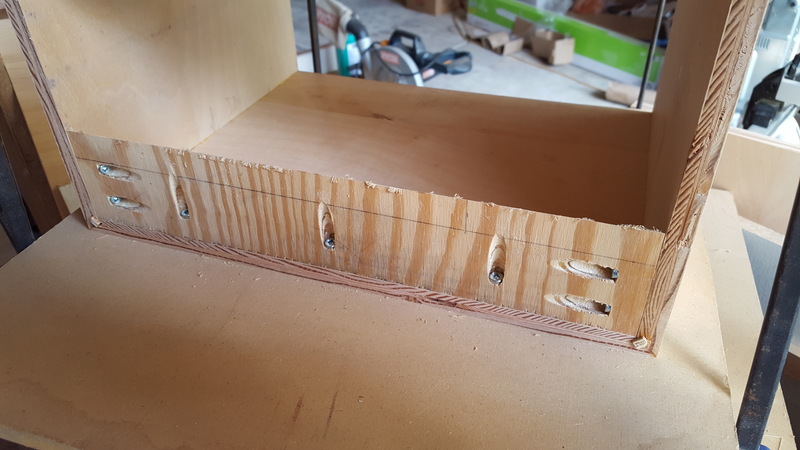 This project mostly came from Earl Davidson, who made a more advanced version with an adjustable guide and Dave at Carnation Construction who made his with a 2×6. 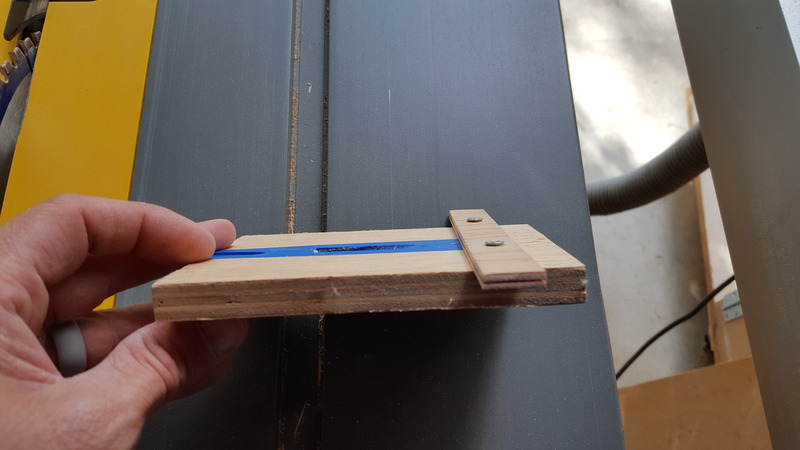 It’s come in handy on several projects, including the DIY Server Box and the Floating Nightstand. 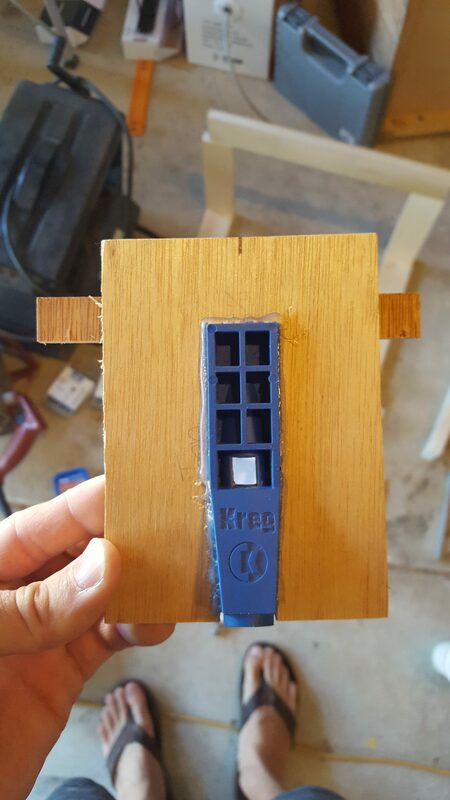 Moving the Kreg Mini, lining it up right and clamping it square is the most time-intensive part of using it. 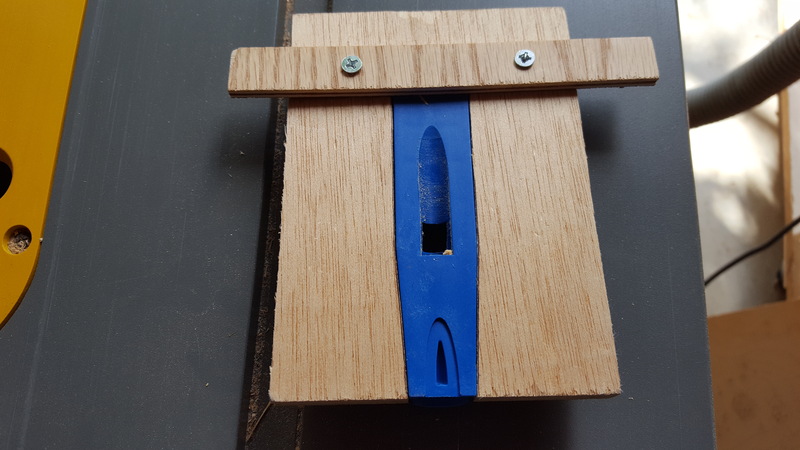 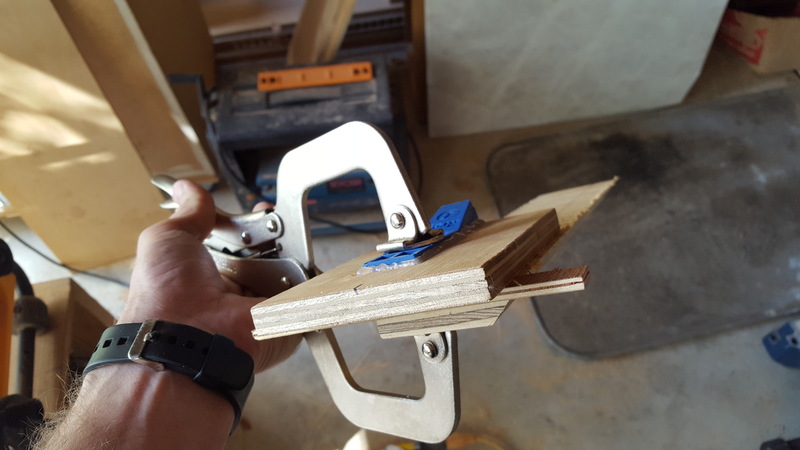 This jig simplifies that and the hot glue is only there to hold it in place since you clamp onto the Kreg itself and not the jig. 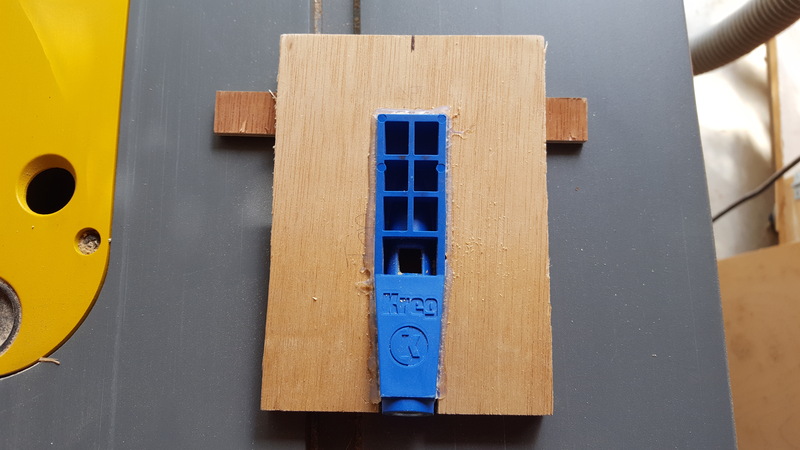 It would be cool to make a pocket hole machine like Trevor Green but I don’t want to use up the space as my jig, bits, and screws all fit in a gallon ziplock right now. 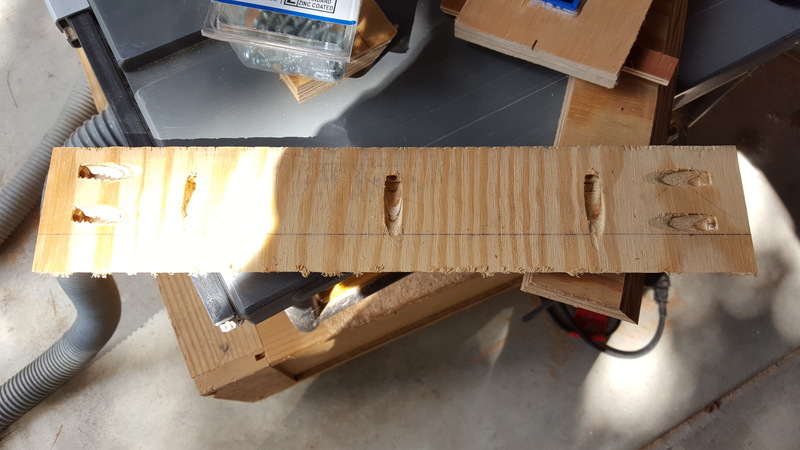 2 Pings/Trackbacks for "Kreg Mini DIY Jig"